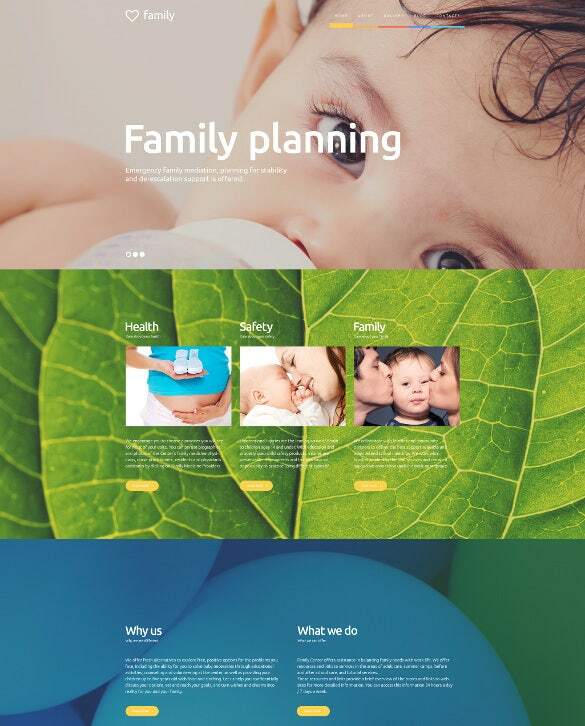 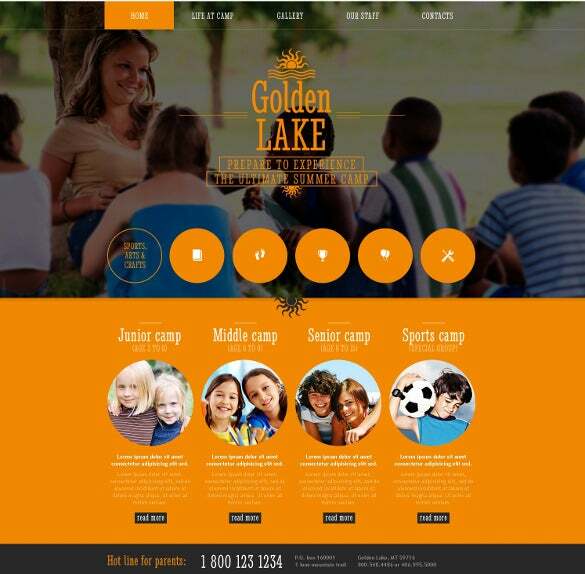 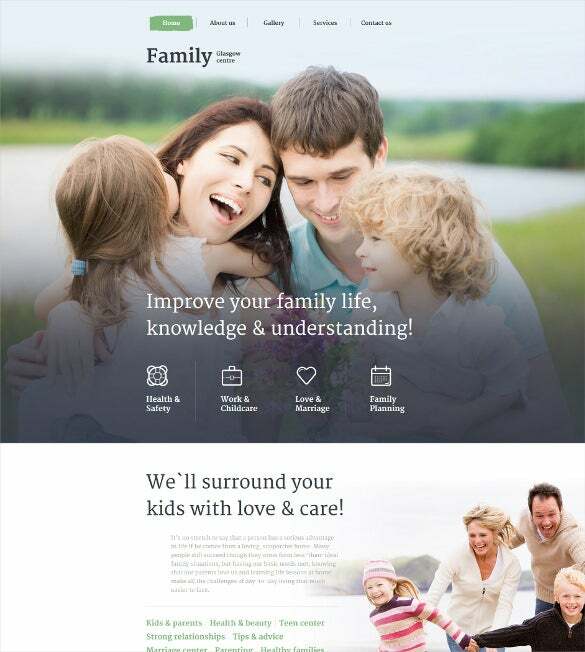 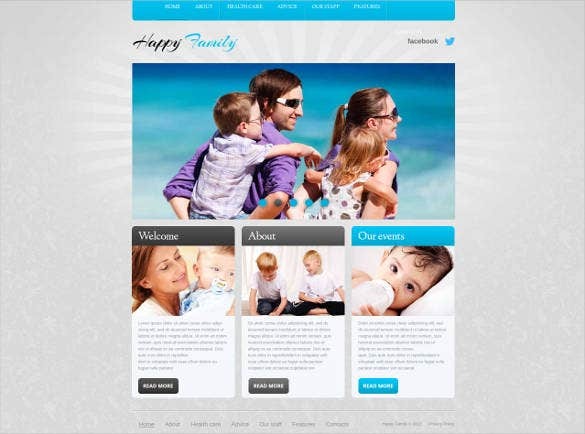 Design web sites for special moments in your family life,; family web templates are built to satisfy such demands, and come to you loaded with special features. 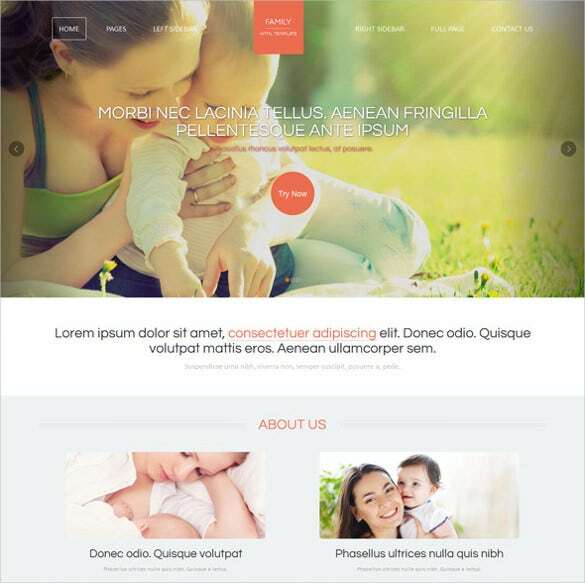 Featuring responsive designs, these website templates also include a stick-to-top menu for easy navigation along with other features like sliced PSD, Google maps and web fonts. 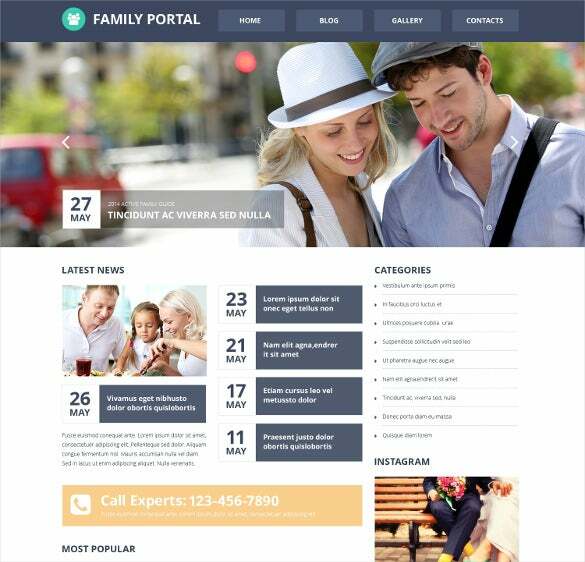 You can also see Realtor Website Themes. 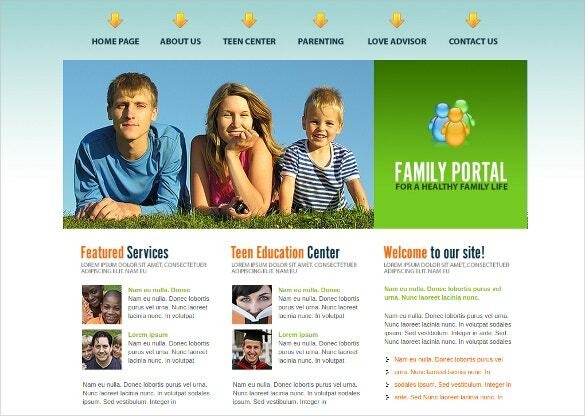 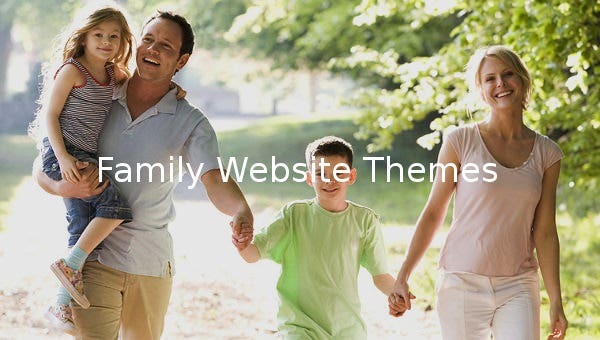 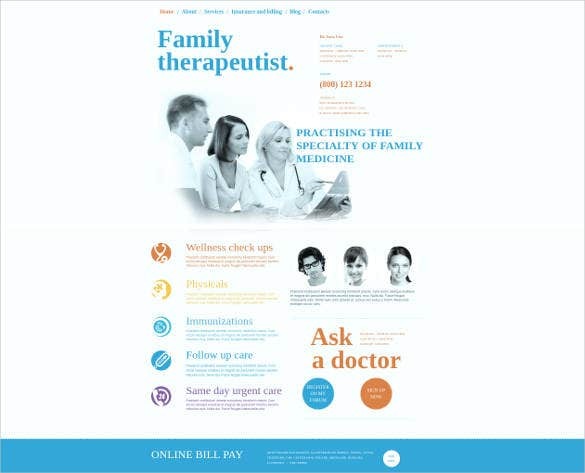 The theme opens up with a lovely picture of a happy family which makes it an ideal theme for a family centre website. 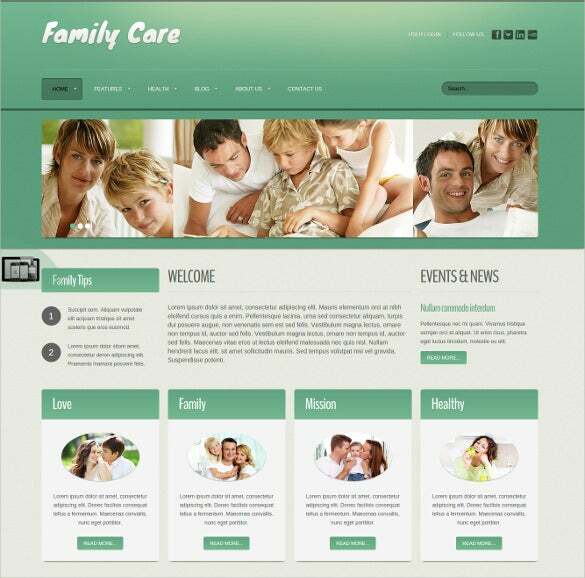 You have the menu bar on top of the banner and the space below can be utilized for your services and welcome message. 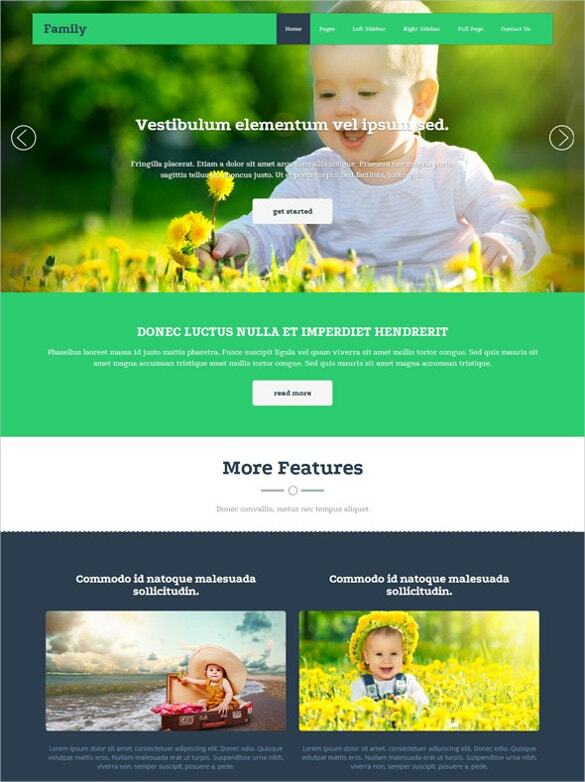 It’s a fully responsive theme with stick-to-top menu. 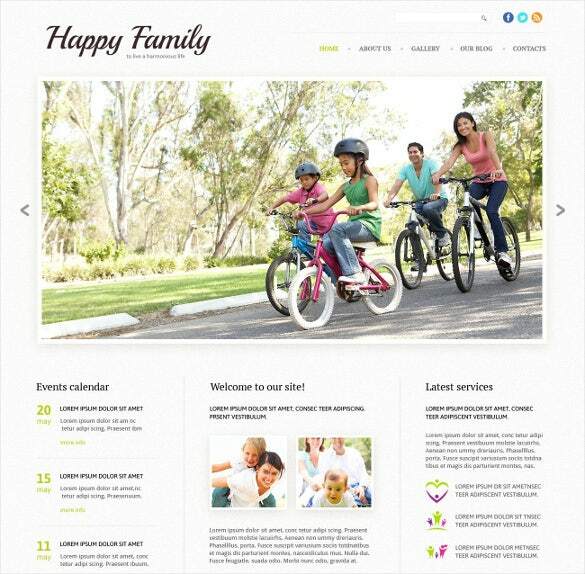 This website template here opens up with a cute slider banner where you have happy kids playing in joy. 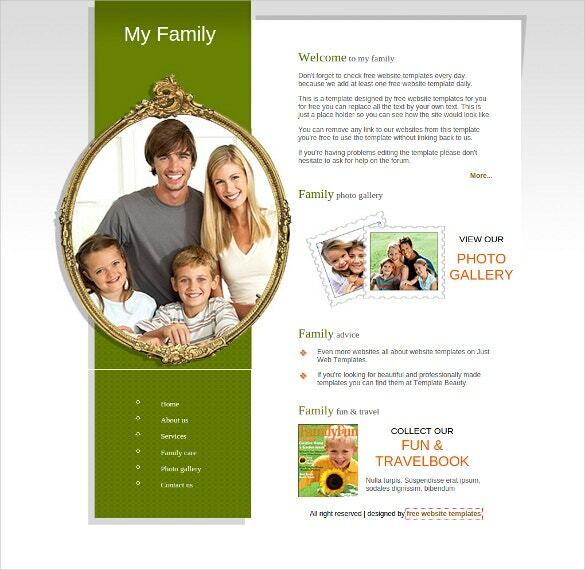 You can include information about the different parties you organize and also a little but about yourself. 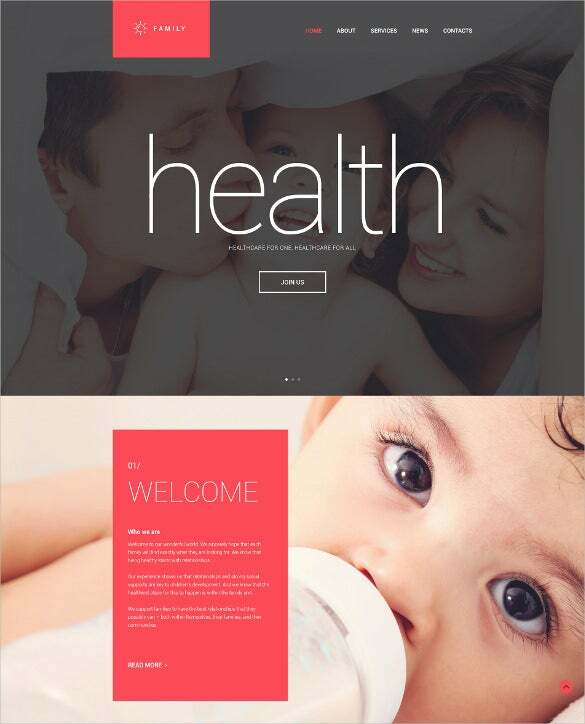 Built in Bootstrap 3, this responsive theme has come up with swipe menu option for mobile devices. 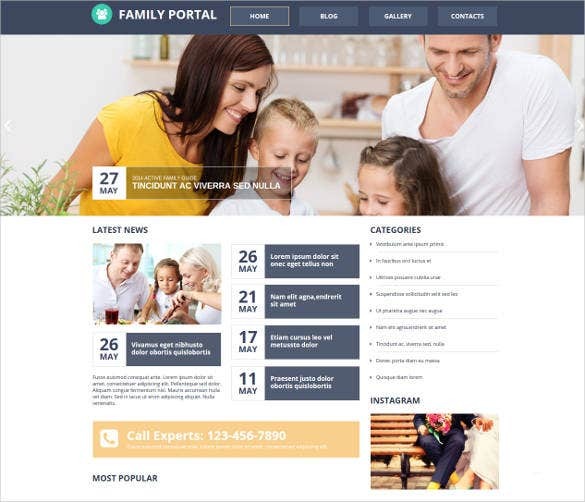 This is a neatly organized theme that begins with a bright picture of a happy family followed by sections for events calendar, the welcome message as well as the latest services. 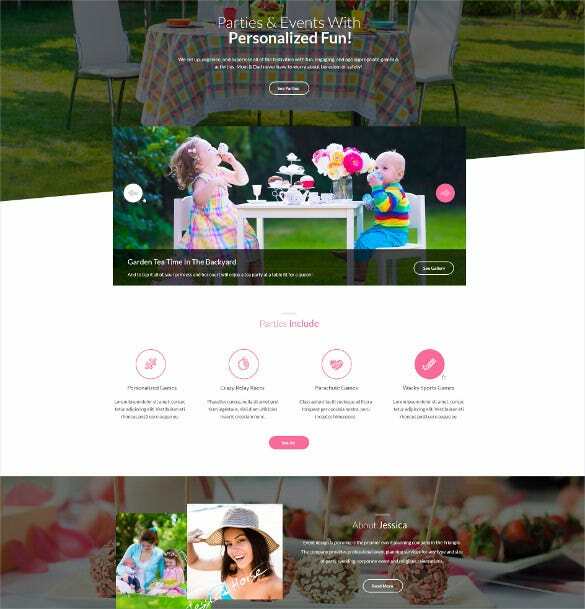 The theme assures crossbrowser compatibility for your website and you will get 7-15 high resolution stock photos and images. 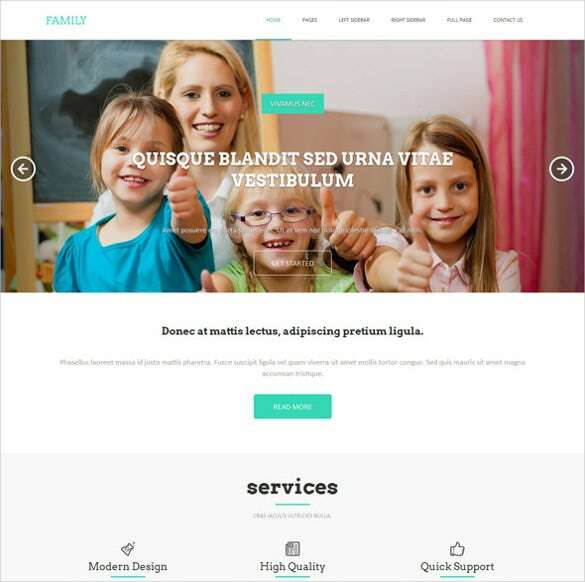 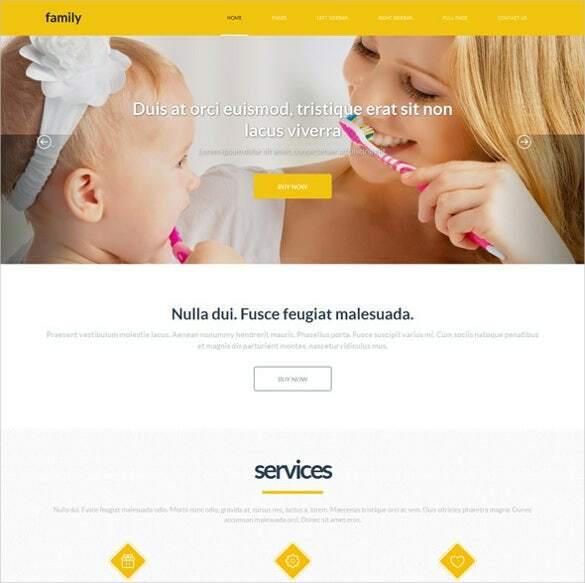 If you are looking for a simple yet elegant family website theme, this template here would be great for you. 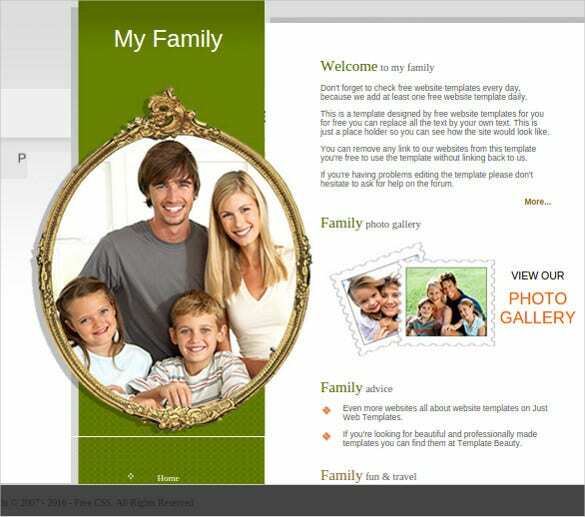 The frame looks royal and along with a detailed welcome message, you can include family advice, memories & photo gallery here. 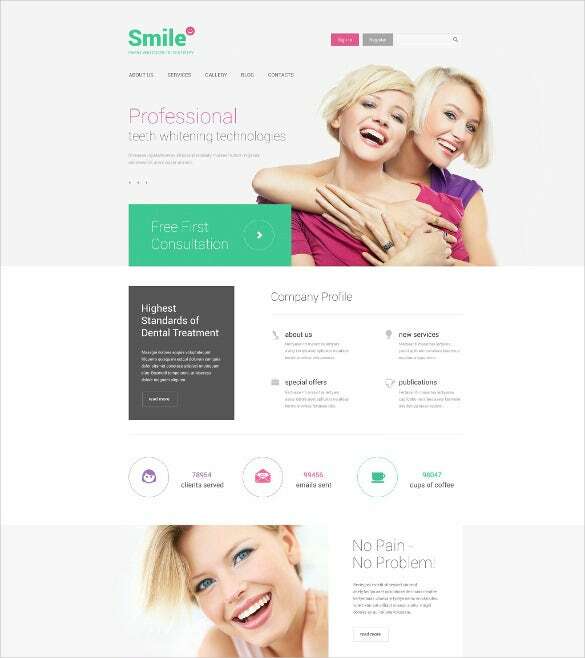 It speaks of an elegant professional design all through. 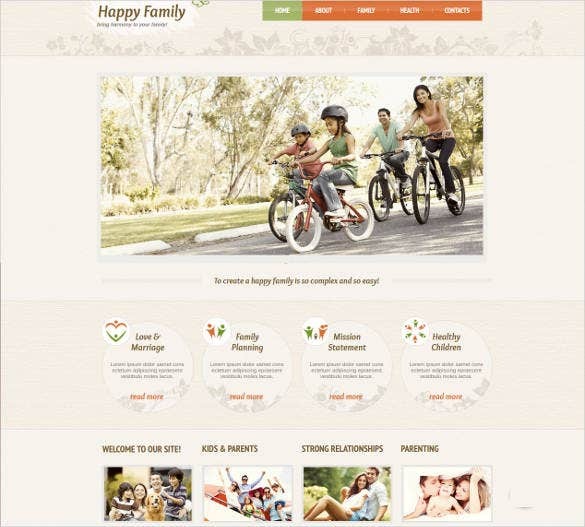 The elegant theme opens up with a joyous banner of a happy family that freshens the mood instantly. 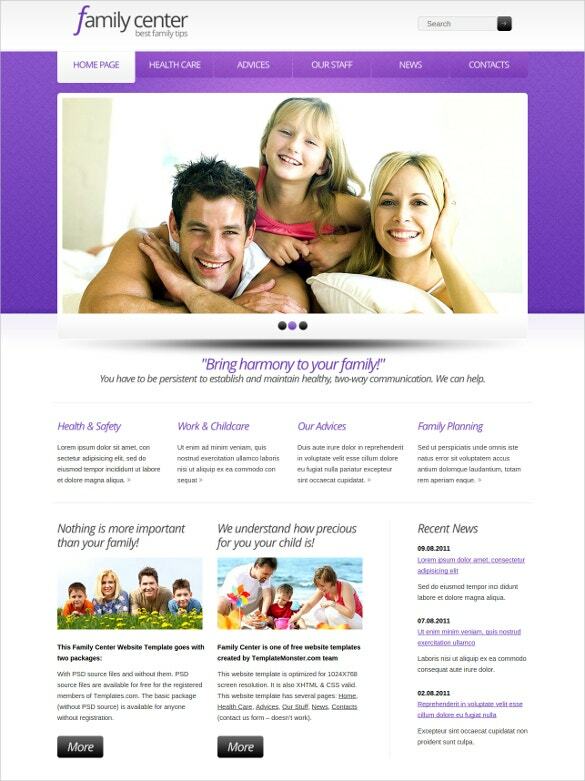 The space below can be used to offer a brief on your services. 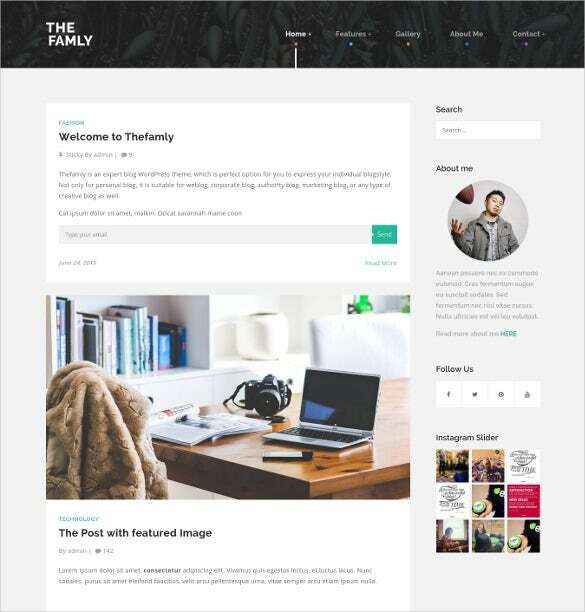 The responsive theme comes with Google Map integration, more than 100 shortcodes, blog and FAQ pages, typography and table styles. 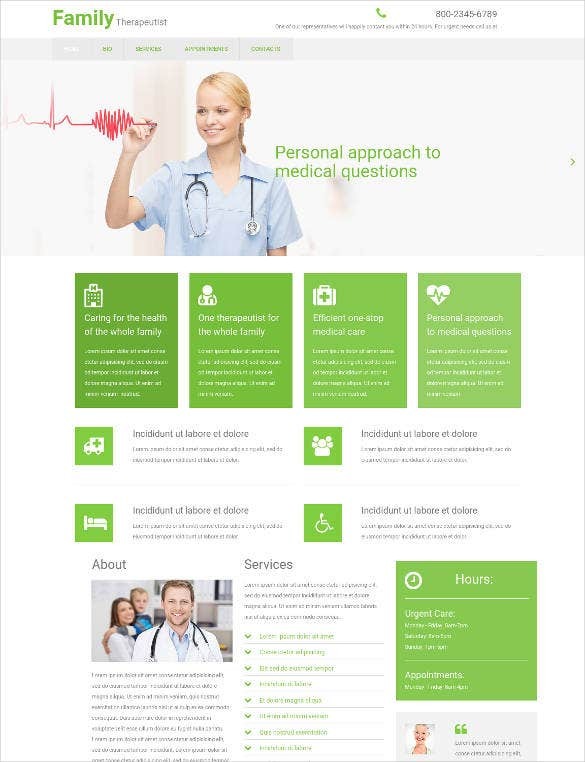 The templates also features online chat options and tabs and the valid semantic code provides faster browsing experience. 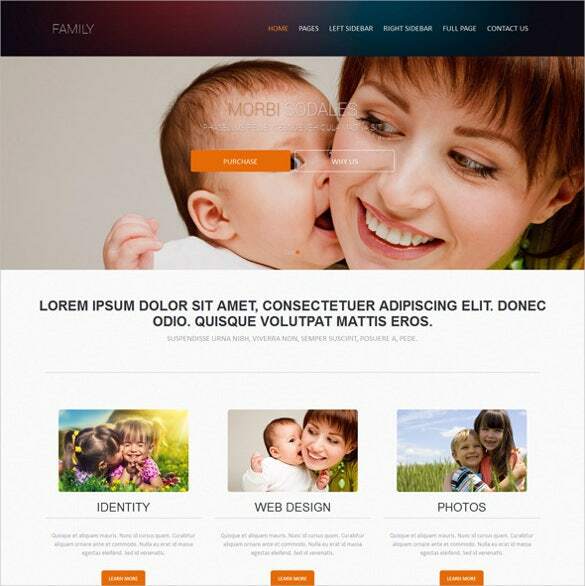 These website templates are also loaded with additional features to give extra dimensions to your websites.